Combine oats, brown sugar, flour, cinnamon, and salt. Peel, core and slice apples to make 6-8 cups worth or more depending how full you like your pan to be. 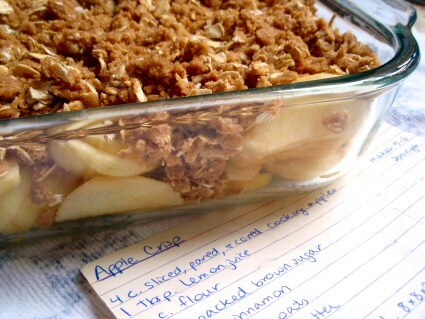 Place apples in a 9 x 13 baking dish. Sprinkle with sugar then sprinkle crumb mixture over top.